With so many choices to choose from, you can really make your home stand out from the rest. 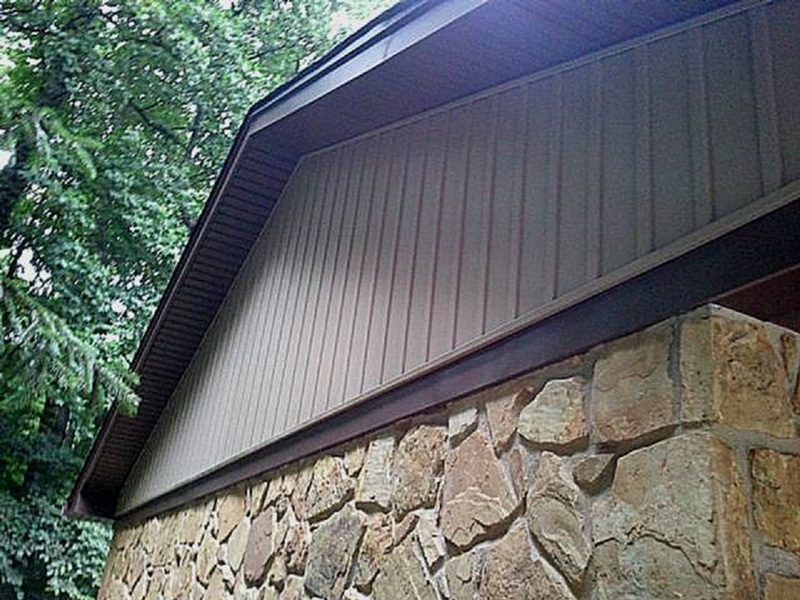 With Royal Home Improvements you can choose from Vinyl Siding as well as Wood Siding or Cement Siding. Beautify your home with our Hidden Vent Vinyl Soffit and custom bent Fascia. All the ventilation your home needs without all the painting. A beautiful look with no maintenance and easy cleaning. Turn your patio into the talk of the neighborhood with a custom patio roof. We can custom build your patio roof to look like it was built with your home. 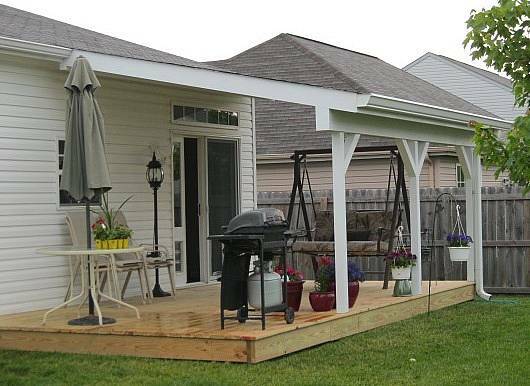 We can install a new deck, concrete patio, or build your patio roof over your existing concrete slab. Turn your back yard into the place you and your family love to be! 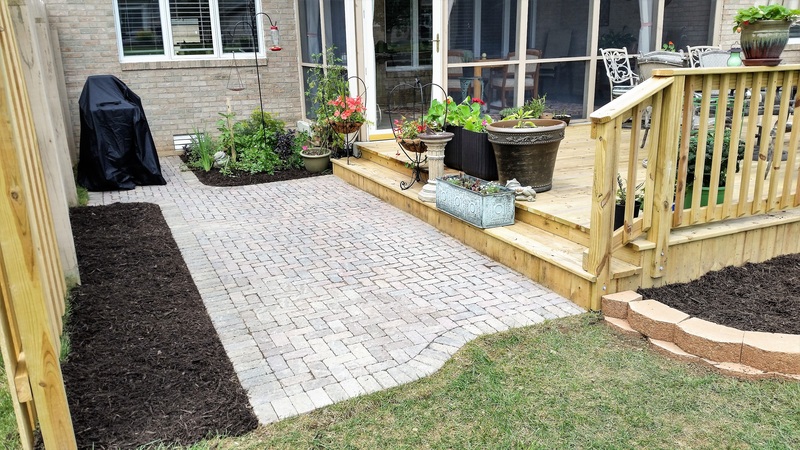 At Royal Home Improvements we will design a Patio that you will love! 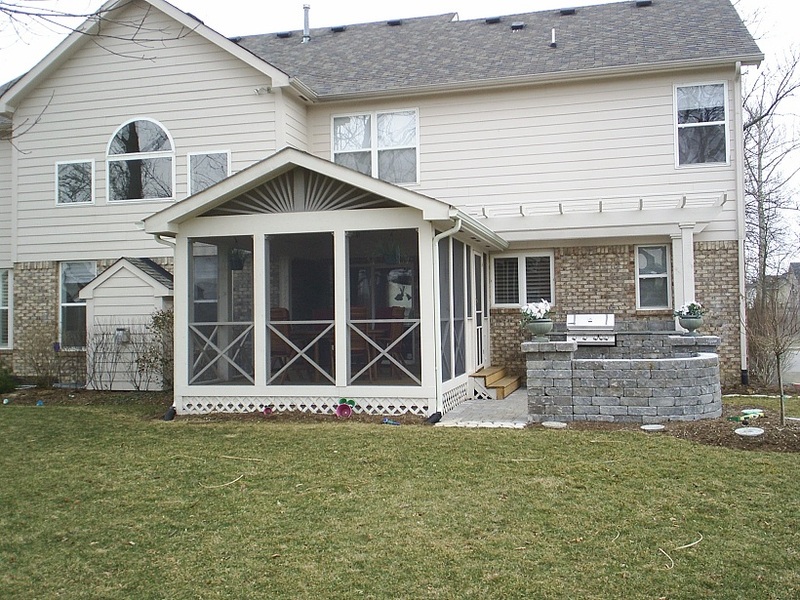 From Sun Rooms, Screenrooms, Decks, and Paver Patios to Room Additions, the choice is all yours. Call 317-509-0042 today for your free in home Design Consultation. Patio Rooms and Sunrooms can be customized to suit your family's needs. The design possibilities for your sunroom or patio room are endless. 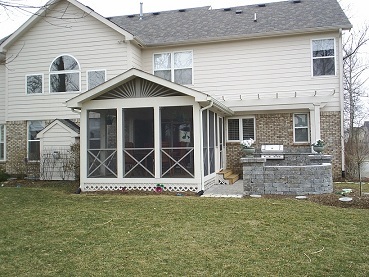 Let us make your your new sunroom unique to your family and lifestyle. Patio rooms styles have changed over the years and now come in vinyl construction as well as thermally broken aluminum construction with vinyl windows. Still traditional in design, patio rooms now bring a deeper level of comfort, addition, and flare to your home. Whether you're looking for a patio room designed for grilling and entertaining friends by the pool or maybe you're looking for something a little more modern... a custom designed patio room from Royal Home Improvements will give you the space you need to sit, relax, and unwind after a long day. The options are endless with patio rooms, they can be used as exercise rooms, play rooms, breakfast nooks, pool rooms, in-home theater's, studios, and so much more! Whatever your taste, whatever your looking for, we have a brilliant variety of shingle patterns and designs. On a budget? We carry so many brands , so you get so many choices to pick from. Here at Royal Home Improvements we offer a full line of ashpalt shingles for any size project. We offer shingles that will help your roof stand up to high wind and hail damage. 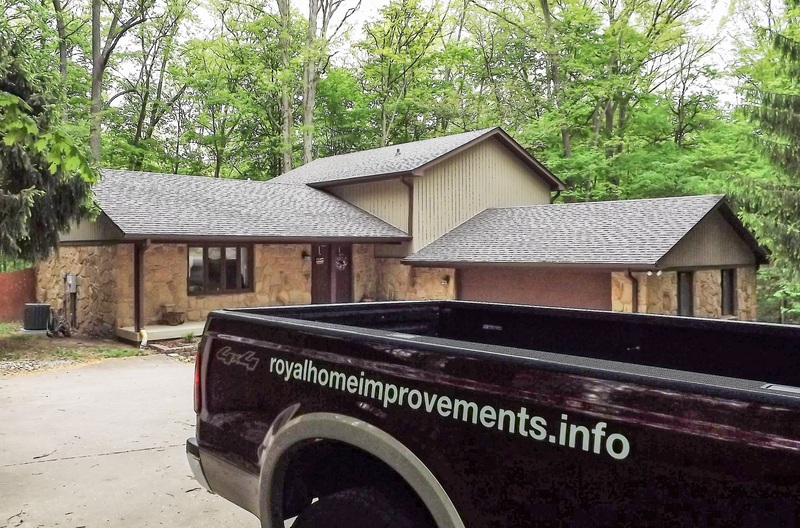 Let Royal Home Improvements come inspect your roof for hail damage, wind damage, and ice damage. Most storm damage on your roof will not be seen from the ground. This is why a home owner should have a roof inspection after a major storm, or at least once a year. Sometimes it may take months or even years for roof leaks to be noticeable in your home. When this is the case, the damage could be far more severe than just a roof replacement. Costing thousands more that might not be covered by your insurance. Don't delay, call for your roof inspection today. Stick with a traditional three tab asphalt shingle or have your roof done in a more modern demonsional asphalt shingle. A demonsional shingle gives your roof the look of cedar shake shingles, as well as extra resistance in high winds. Looking to spruce up your back yard or patio? 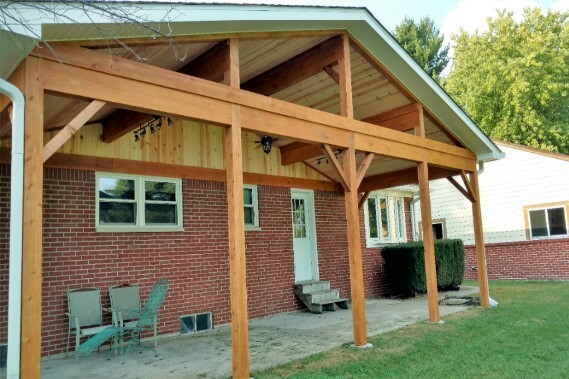 Add a porch roof or patio cover to enjoy the outdoors. At Royal Home Improvements we will work closely with you through every step of the design and construction process in order to create a customized outdoor living space that fits you family's r needs. With our attention to detail, you can be assured that your deck or patio cover will be completed above and beyond your expectations. Here at RHI we have several styles of patio covers to choose from. We custom build to suite your needs. Choose from awnings, aluminum patio covers, or conventional stick built construction. We are constantly working to provide our customers with the best available decking products, patio covers, patio rooms, accessories, unique designs, and competitive prices to stay ahead of the industry. 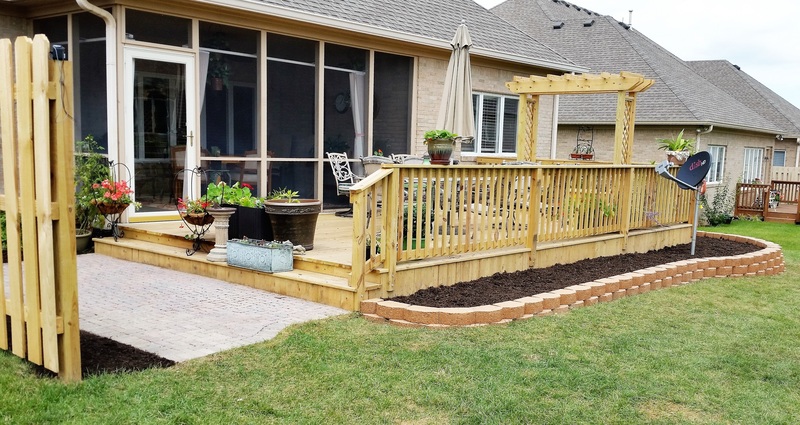 In addition to decks, patio covers, and patio rooms, Royal Home Improvements, can also remove, repair, re-deck, or refinish your existing deck. 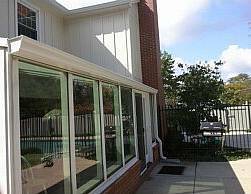 We also offer screened rooms, fencing, basement waterproofing, and basement finishings. Call today for your free in home consultation! 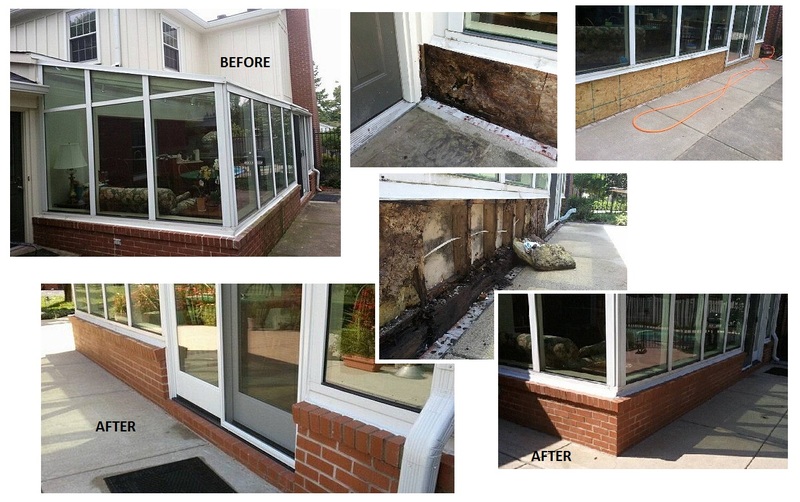 If you have a Sunroom that has more than just cosmetic issues such as this one did. We had to completely rebuild the knee wall due to water damage. Everything from the brick to the drywall had to be replaced. 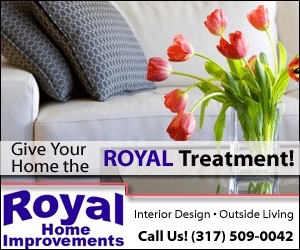 Contact Royal Home Improvements for your free in home estimate from one of our Dedicated Professionals. Plus at RHI our 75% return customer rate speaks for itself. Royal Home Improvements is a full remodeling company. So one call does it all.